Eggs are a great source of inexpensive high quality protein. So today, I want to share with you my favourite egg recipes, which I like to make over the weekend for my family and friends. They are healthy, fresh, quick and very tasty recipes which you can prepare to impress your loved ones. To start off, let’s give the traditional quiche a twist. Instead of using pastry, we want to swap that with bell peppers and fill them up with a classic mix of eggs, cheese, leeks and mushroom. Pre-heat the oven to 180 Celsius or 350 Fahrenheit. Let’s start by prepping the bell peppers. Slice each of them into halves and remove the seeds. Heat olive oil over medium heat. Add leeks and sauté until soft for about 1 – 2 minutes. Then add in the mushrooms and continue to sauté just for another 2 – 3 minutes until mushrooms are slightly tender. Set aside. In a bowl, add the eggs, milk and salt & pepper. Give it a good mix. Set aside. 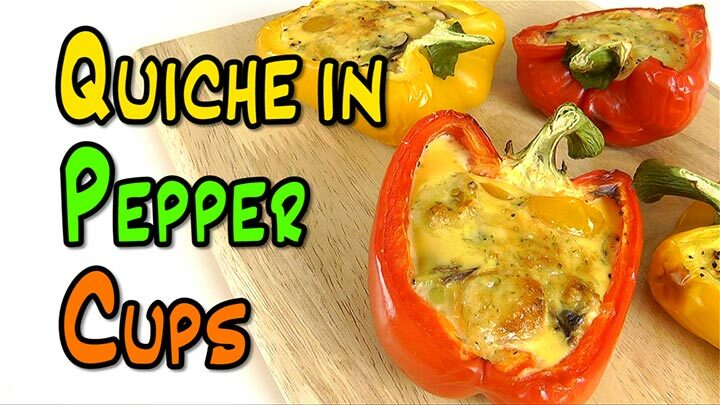 Line a baking tray with parchment paper and place the bell peppers. Fill the cups generously with the fillings and cherry tomatoes. Bake in the oven for 20 – 25 minutes until eggs are cooked through and golden brown. Serve hot. I can assure you, these pepper quiches are absolutely delicious. They are fluffy, low carb, packed with high quality protein and vegetables. Every bit you take is so satisfying and packed with flavours. 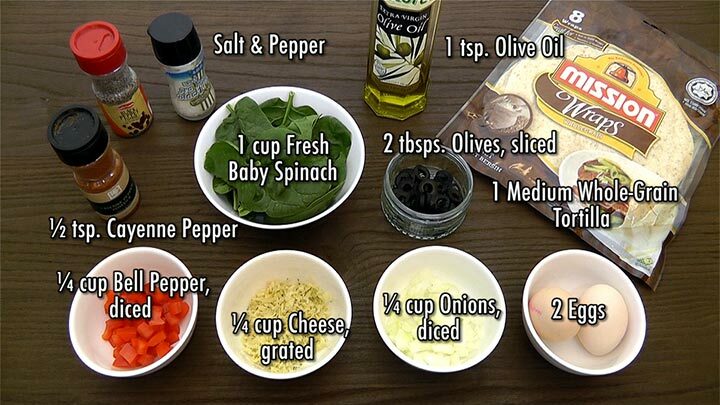 So bring some color to the table and try these easy to make quiche in pepper cups. Another of my favourite dishes is quesadillas. But it’s not always a healthy option especially if it’s loaded with lots of cheese and can be very high in calories. 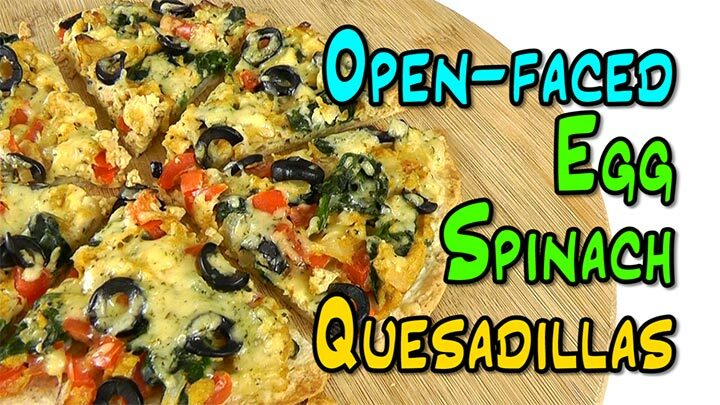 So instead of the traditional quesadillas, let’s make it open-faced, which means lower calorie per slice. We want to also load it with vegetables and only sprinkle the cheese on the tortilla lightly. Let’s start by prepping the eggs. Break and scramble the eggs in a small bowl. Season with a cayenne pepper and salt & pepper. Set aside. Heat olive oil of medium-low heat. Stir-fry the onions and bell pepper for 1 – 2 minutes until fragrant. Then add the spinach and cook until wilted, for another 1 to 2 minutes. Pour in the eggs and cook very quickly until the eggs are just set, only about 1 to 2 minutes. Don’t overcook as the eggs will finish cooking in the oven. Remove from heat and set aside. Line a baking tray with parchment paper and place one tortilla. Top it up with the scrambled egg mixture, some olives and sprinkle with cheese. 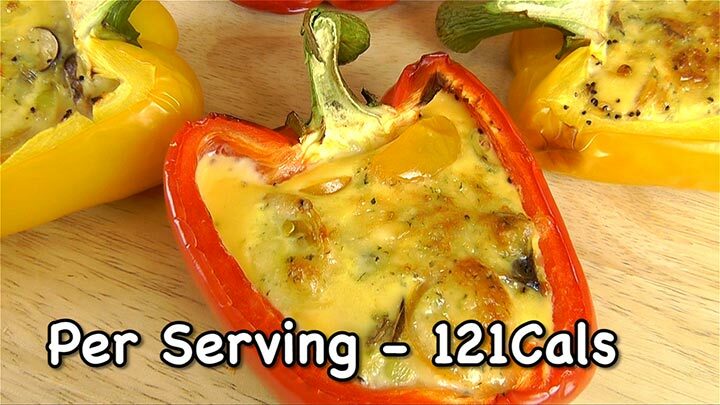 Place in the oven and cook very quickly for just about 5 – 6 minutes until cheese is melted. Transfer the quesadilla to a cutting board to cool for a few minutes and cut into 6 portions. Serve warm. This is such a great and light dish to be shared. It’s crispy, crunchy and cheesy at the same time. 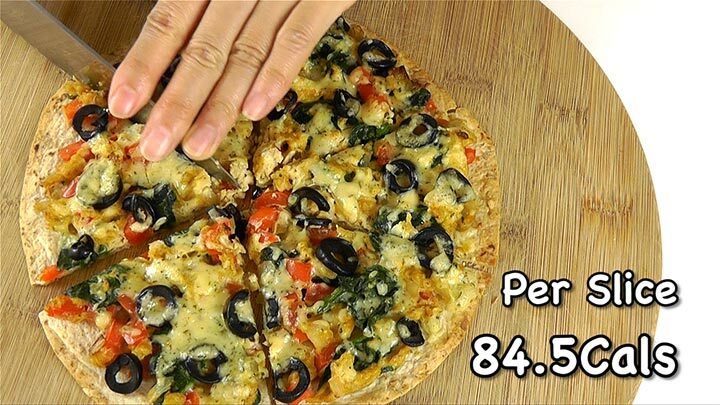 It’s just like a thin crust pizza and each slice is under 100 calories. You can even serve it as a starter or finger food. 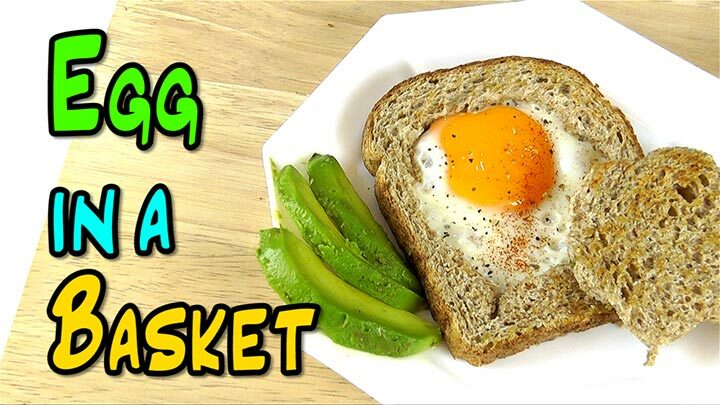 And finally, why not give your ordinary egg and toast a quick makeover. I have egg and toast very regularly for my breakfast, and sometimes, it nice to put a little bit more effort and make breakfast look pretty. If it’s pleasing to the eyes, it’ll be pleasing to the tummy. And I’m sure your family and kids would love this. 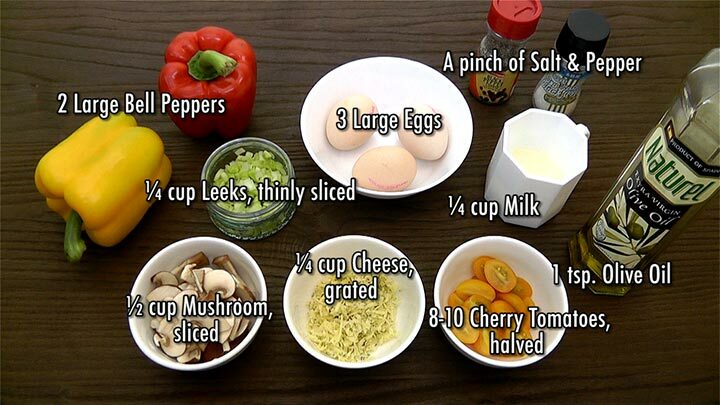 Break each egg into a small bowl. Set aside. 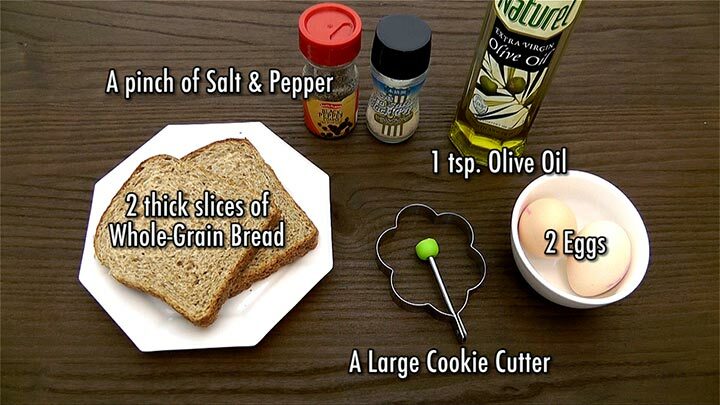 Use the cookie cutter, cut out the center of each bread slice. In a non-stick pan, heat the olive oil under medium-low heat. Toast the bread slices and cut-outs on one side until golden brown. 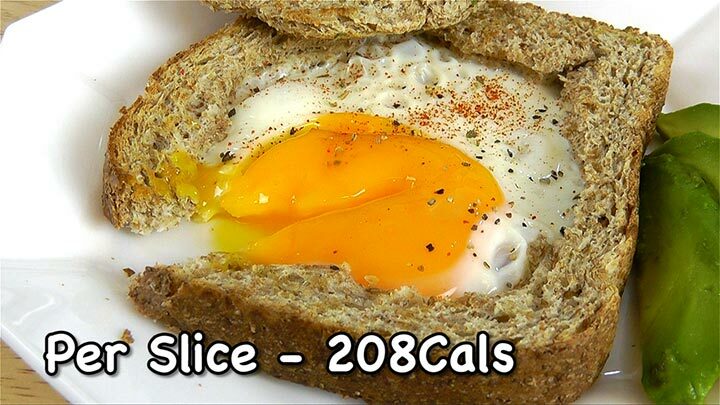 Turn the bread pieces over and gently pour each egg into the centre of each bread slice. Cover the pan and cook slowly for about 4 – 5 minutes, until the egg whites are completely set and the yolks begin to thicken but aren’t hard. Season with salt & pepper and serve immediately with cut-outs. You can choose to serve with the toast with avocado slices, fruit jam, peanut butter or even baked beans or salad. I love to slice into the runny yolk. Don’t you? This dish is packed with both carbs and protein to sustain your energy. It also makes a great post workout snack. I love pretty looking breakfast because it put a smile on my face in the morning. 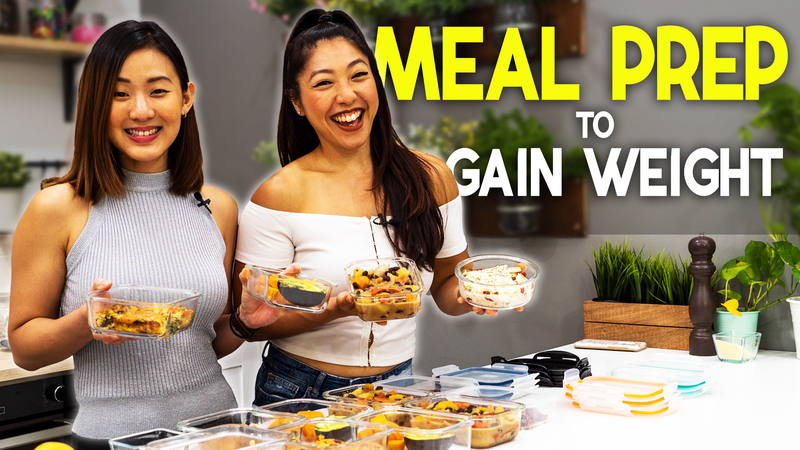 So guys, eat a bigger and more satisfying breakfast to kickstart your and you won’t have the urge to snack as often throughout the day. 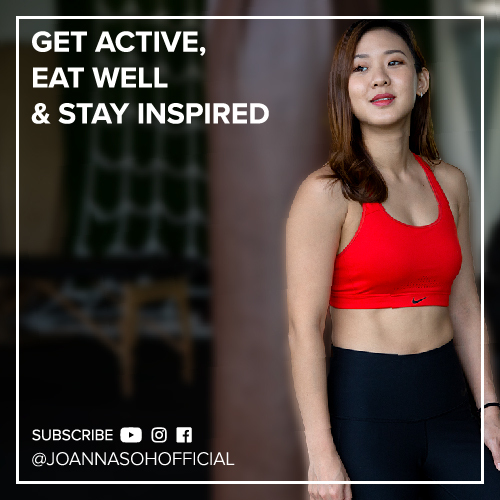 It will help you to manage your appetite, which also helps with maintaining a healthy weight long term. These recipes also make great lunches and also dinners. Try them out, make them for your loved ones, share this recipe with your friends.